After a talk by David Baldwin, from Butleigh, Avalon Rotary were pleased to pass to St Peter's Lifeline a cheque for £500. 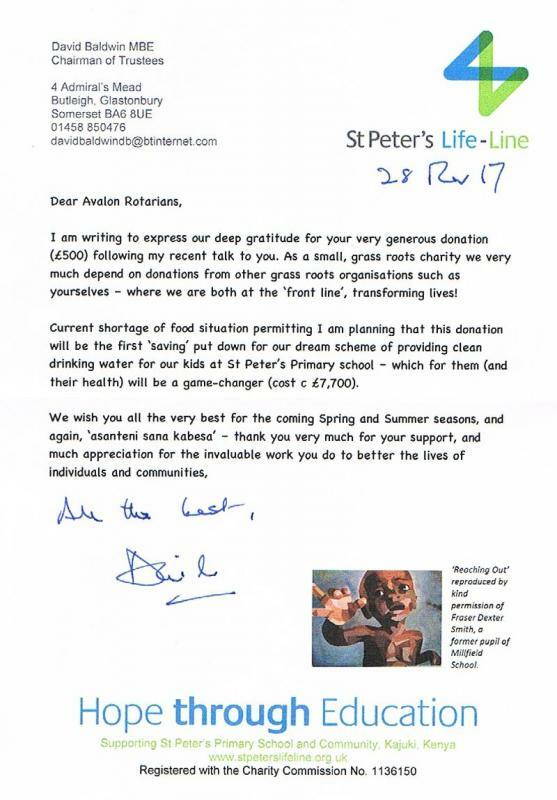 St Peter's Life-Line is a small grass roots charity started in 2009, with the passion and vision to make a big difference. It partners with St Peter's primary school and community in Kajuki, Kenya, which was founded in 2006. Initially the charity was responding to cries of desperation from the founders, during a famine period in this harsh, semi arid part of Kenya, and in the violent aftermath of the Kenyan elections of 2008. 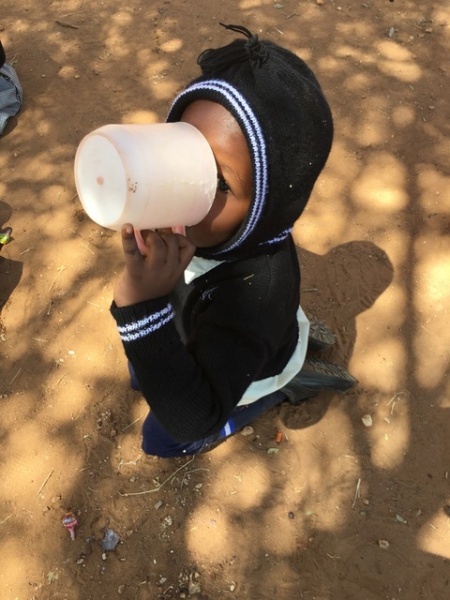 St Peter's Life-Line aims to lift a community of some 40,000 people out of desperate poverty, through education, micro finance, empowering girls, feeding programmes, clean water, sanitation and the prevention of disease.